Back in April of this year I did a post about the possible reissue of the Transllusion and Shifted Phases material which both came out on Tresor/Supremat back in 2001 and 2002. 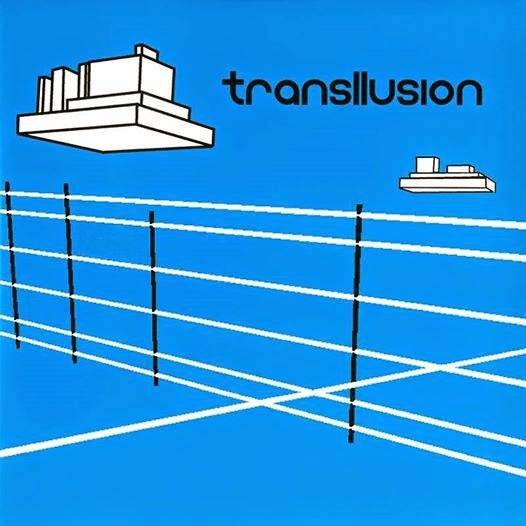 Tresor have just announced they will be doing Transllusion reissues in September/October of this year. Previously available as a double LP and CD the album, The Opening of the Cerebral Gate, will now be available for the first time on triple vinyl and again as a standard CD. The vinyl will have 3 extra tracks which were bonus tracks on the original CD. Separately they will also reissue Transllusion's Mind Over Positive And Negative Dimensional Matter 12". This 3 track EP has two additional tracks not found on the album release. My article on the first Transllusion album and where it fits in the order of the Storm series can still be read here. Tresor have certainly followed Clone's lead in keeping this material available in physical formats for a whole new generation of fans to hear as the artists originally intended. Hopefully they will also get round to the Shifted Phases album, The Cosmic Memoirs of the Late Great Rupert J. Rosinthrope next. They also reissued Drexciya's Neptune's Lair and Hydro Doorways 12" (both repressed in August according to Boomkat) back in May of this year. They posted the following on their Facebook about the upcoming releases. In between the re-releases of the two legendary Drexciya albums originally released on Tresor Records in 1999 and 2001, the Berlin techno institute is proud to re-present Transllusion’s album “The Opening Of The Cerebral Gate” and accompanying single "Mind Over Positive And Negative Dimensional Matter". Produced by the late James Marcel Stinson and released in 2001 via Supremat, a short-lived sub-label Tresor dedicated to a more abstract and experimental electro sound, “The Opening Of The Cerebral Gate” was conceived as the second part of the so-called Drexciyan Storms – a whopping stack of seven albums by the Detroit pair released under different monikers within a single year (the Tresor album “Harnessed The Storm” being the first). “The Opening Of The Cerebral Gate” showcases one of the great artistic minds of techno’s second generation on the brink of a new creative chapter in his life - a chapter which, tragically, would end way too soon. For the first time music fans will be able to experience the whole journey on vinyl. “The Opening Of The Cerebral Gate” will be made available on CD and a special 3LP edition, which includes the vinyl version of the album as it was originally released, plus a bonus record featuring “Look Within CD”, "Dimensional Glide", “Unordinary Realities CD” and “Do You Want to Get Down (Vocal De Void) CD” - for the first time available on wax. Tresor.271 - "Mind Over Positive And Negative Dimensional Matter" are set to come out on September 29th and October 6th, 2014. WeMe have a very special 10 year anniversary compilation, WeMe 10 Ans, available for download at this Bandcamp link now.You can also pre-order it from them on double green vinyl here. 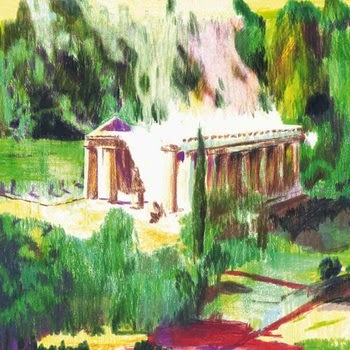 Der Zyklus have contributed an unreleased track called 'T4'. It also features other artists that have been featured on the label such as DJ Stingray, Leyland Kirby, CN, Global Goon, Ceephax and more. Congrats on 10 years!